Free Health Tips | Good Nutrition | Healthy Diet Child: How Do I Pick the Best Toothpaste? How Do I Pick the Best Toothpaste? Standing in front of a wall of toothpaste at the drugstore can feel overwhelming. With so many bright, shiny boxes advertising different claims, how do you know which is best for your teeth? Truthfully, most toothpastes work well for everyone, and the best toothpaste is the kind that you will use every day. With that in mind, there are a few things to consider when buying toothpaste. Below Dr. Kenneth Ingber breaks down what you should look for in toothpaste, and the special features that some companies market. He also clears up a rumor about a peculiar marking on toothpaste tubes. The ADA seal indicates that the toothpaste contains fluoride, an ingredient that removes plaque. One of the biggest threats to your dental health, plaque is a sticky film of bacteria that forms on the teeth and gums and can cause tooth decay and gum disease. You may also want to consider the flavor of your toothpaste. You are more likely to use toothpaste in a flavor you enjoy. If you’re curious about testing a new flavor, but aren’t sure whether you will like it, try a travel-sized tube instead of a full size. Or, ask our team for a sample during your next dental visit! Toothpaste for Dentures (Fixodent) – Although you can use toothpaste for regular teeth on dentures, effervescent tablets or solutions may be more effective. What Do the Color Codes on Toothpaste Tubes Mean? For example, a green bar means the toothpaste has all natural ingredients; blue means the toothpaste has natural ingredients and medicine; red means the toothpaste has some natural ingredients but mostly chemicals; and black means the product is made purely of chemicals. This theory is patently false — the colored bars have nothing to do with the ingredients of the toothpaste. In reality, they are simply markers used during the manufacturing process to indicate where the product packaging should be cut or folded. 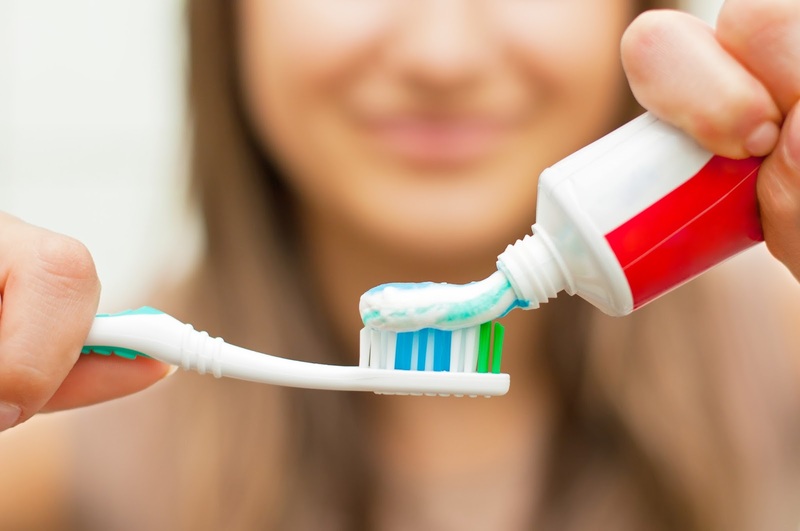 If you’re curious about the composition of a certain toothpaste, read the ingredients listed on the box or tube, or on the company’s website.